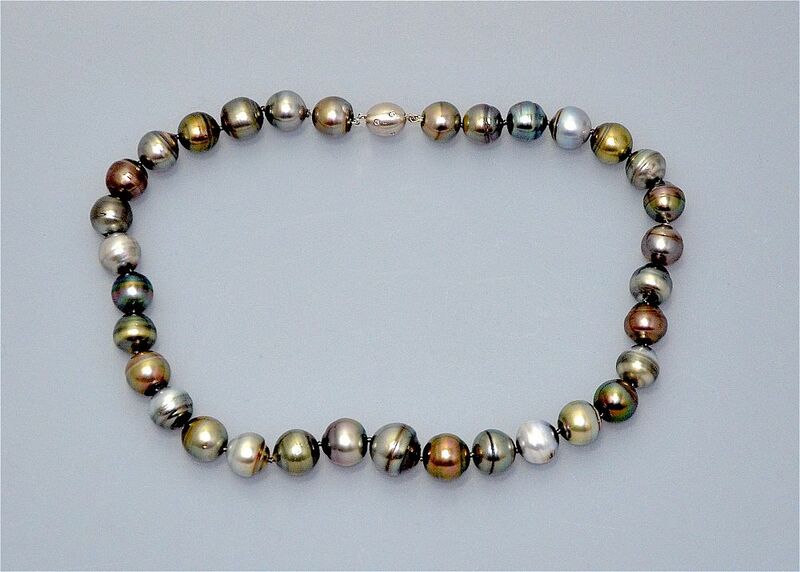 This lovely necklace consists of 33 Tahitian baroque pearls in various natural colours of black, grey, silver grey & bronze. The pearls are sightly graduated in size ranging from 13.5mm - 15mm and the string is knotted. There is a brushed 18ct white gold torpedo clasp set with 8 small round diamonds totalling approximately 0.08cts. Wear it smart or wear it casual, this necklace will always look lovely.